The ‘Airports In Spain’ website is designed to provide a one stop portal to help you find all the relevant information you need to know about all the airports throughout Spain. There are a large number of airports located throughout Spain and each one of the airports service various cities, regions and towns across Spain itself. If you are unfamiliar with these airports or for that matter Spain itself, it can be a little confusing as to which airport is the best choice for the city, town or holiday resort you wish to visit. Although most of the major cities in Spain all have their own main airport that services the city, a large number of cities have several others. Some major cities in Spain also have several smaller airports which are located close to them and which many passengers choose to use for various reasons. These smaller airports (can be seen on a map of spain airports) that are located throughout Spain generally provide a much cheaper alternative to the main airports, due to the fact that many low cost airlines now fly into them. This in itself is a huge attractions for many passengers. We have tried to provide information throughout this website that we think will be beneficial to you when trying to book your flights to and from the many of the different Spain airports. We have also tried to answer some of the more frequently asked questions (Which you can find at the bottom of this page) and hope you find them useful. Below is a basic map of the major airports throughout Spain. Using the map will help you plan your journey and will hopefully help you pinpoint the location of each airport. As you will be able to see, there are several International airports that service many of the larger cities in Spain and these major airports also provide easy access to many of the smaller towns. Money: Most people have a budget when travelling and the cost of their flights in a large expense in their budget. As we have mentioned, there are a large number of smaller airports in Spain that offer much cheaper flights but you have to weigh up the full cost of the cheaper flights and the transfer costs to reach your chosen destination. Time: Many people that fly into Spain are on tight schedules, especially if they are only on a short break. The last thing anyone wants to do is spend the majority of their time in Spain traveling to and from the airport. When you are searching for the best flight deals and the most suitable airport for your chosen destination, you really need to take into consideration the travel time to and from the airport. The Purpose Of Your Visit: You need to determine what is the purpose for your visit and what you want to do and see during your trip to Spain. If you are wanting to see one particular city and you only have a very restricted amount of time, it is wise to choose the closest airport to that city or one which is accessible within the hour. If you are wanting to see a large number of cities, towns and villages throughout Spain and you have quite a flexible schedule you could actually fly into one airport in Spain and then fly out of another in a different city. It is important to understand that when you are looking to find the most suitable airport in Spain for the destination you wish to reach, you will need to know which part of Spain you are visiting. This may sound a little obvious but Spain is divided into many areas and there are also several individual islands located off the Mainland of Spain that have their own airports. Even on Mainland Spain itself the distance between airports and cities can be considerable and if you fly into the wrong airport for your chosen destination, you will have a long journey ahead of you! Becoming familiar with the many airports in Spain and which cities they service will help make your task of finding the best flights for your trip much easier. As well as the large number of airports throughout Mainland Spain, there are also several airports that service many of the popular holiday destinations that are located on the several islands located off the Mainland. If you intend planning a trip to one of these major holiday destinations, you will first need to familiarise yourself with which airport services which island. For Example: Majorca, Menorca and Ibiza are known as the Balearic Islands which are all part of Spain but are all separate islands situated off the Mainland. 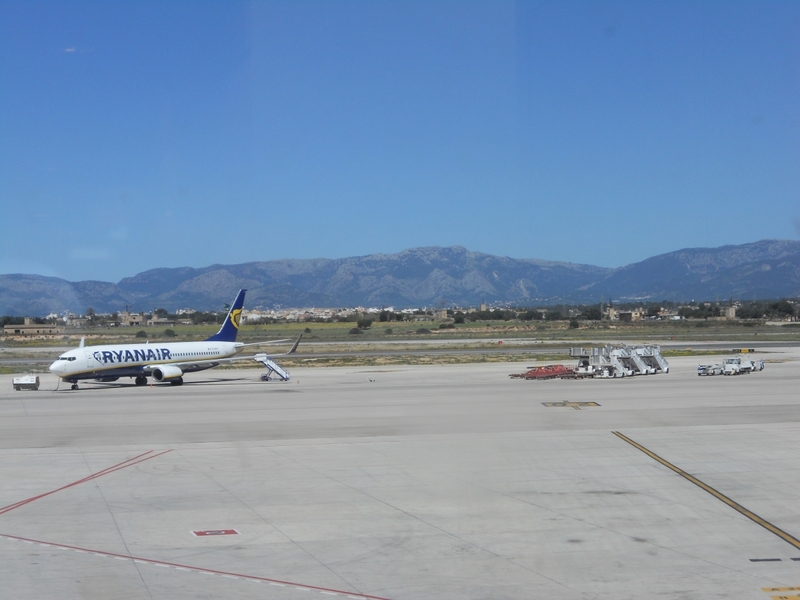 These islands all have their own airports and if you wanted to get to Palma you would need to fly to ‘Palma De Mallorca Airport’ (which is on the island of Majorca). Most of these islands only have one main airport that services the island and the many popular holidays resorts. Tenerife: Tenerife has two airports that service the island these airports are known as ‘Tenerife North’ and ‘Tenerife South’. There are many major airports in Spain that service the major cities such as Madrid, Barcelona and Palma. As you can imagine, these airports are also some of the most popular and busiest airports in Spain in terms of passenger traffic. Throughout the year, these airports are used by both tourists and business professionals and as a result offer easy connections from the airport to the city. If you are wanting to reach one of the major cities in Spain, you will not have any trouble finding a flight into one of the major airports. As well as the more popular major airports in Spain that service the major cities, there are many smaller airports that are located throughout the Mainland. Many of the low cost airlines choose to fly into these smaller airports that are located a little further out of the main cities because it is cheaper for the airlines to use them. The low cost airline do advertise these smaller airports as the major cities although they can actually be located 100klms away. 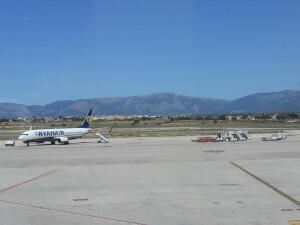 For Example: One of the airports in Spain that is used by the low cost airlines is Reus airport. Reus airport is actually located approximately 100klms from Barcelona but the low cost airlines actually advertise the airport as ‘Reus Barcelona’ airport. The reason they do so, is because it is accessible for passengers to reach the centre of Barcelona from the airport and there is a direct coach service that links the airport to the centre of Barcelona. Also, it is generally cheaper to fly into these airports than it is to fly into the main central airports that service the major cities. The good thing is, due to the fact that the low cost airlines fly into these smaller airports outside of the main cities, there is always a good Ground Support in place that connect passengers to the city. There are a large number of airports in Spain and these are made up of both International and National airports. There are also many smaller airports that are used for private flights, flying schools and also the Military. Spain has a large number of major International airports but there are several airports throughout Spain that are regarded as the main ones. The main airports throughout Spain are the ones that generally service the major cities and islands. For more information about airports in Spain, simply browse through the many pages on the website.